Proclaimed "The Best Value on Duval Street" & "Chef of the Year". 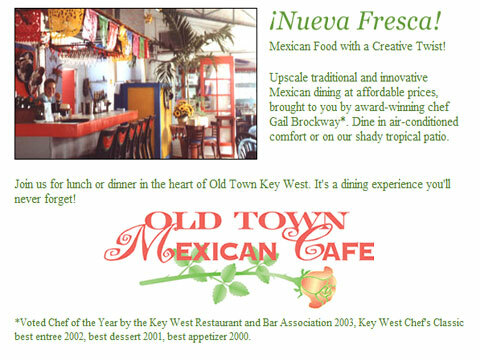 Southwestern & Mexican cuisine, fresh seafood and vegetarian entrees. Cool patio or indoor dining is an oasis from the bustle of Duval Street!